At present it is only three power facilities in Russia that have the status of the renewable energy resource object, and a co-generation plant White Spring is the only qualified power plant, which runs on bio mass. 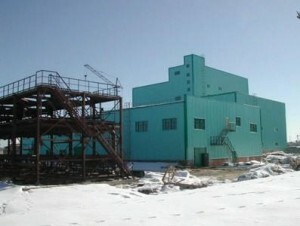 The industrial co-generation plant White Spring uses the waste products of wood processing complex of the Vologda region as the basic fuel. It is important that the power plant produces minimum of harmful substances having the high efficiency coefficient due to the use of the up-to-date boiler units creating a circulating fluidized bed. The co-generating plant fulfills one of the main requirements necessary for obtaining a qualifying certificate – the plant is equipped with the automated measuring and information system for electric power fiscal accounting of A+ class. Only three power facilities in Russia have such a system of commercial accounting of electrical energy so far. “During the last two years we have carried out a large work on obtaining the qualifications of a generating object with the use of RER”, — the general director of OAO “Industrial Co-generation Plant White Spring Denis Pavlikov” noted. – “This work resulted in the opportunity of obtaining state support. In the nearest future we expect the regulating authority of the Volgoda region to calculate a tariff of us that would allow the plant to break even in terms of its economy”.